Dionne Warwick, Dusty Springfield, Petula Clark, Lesley Gore - just their names evoke memories! 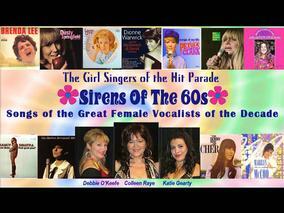 Now, "The Girl Singers of the Hit Parade" have a new show, "SIRENS OF THE 60s," that recalls the great songs and memories of musically and culturally transitional period of time. 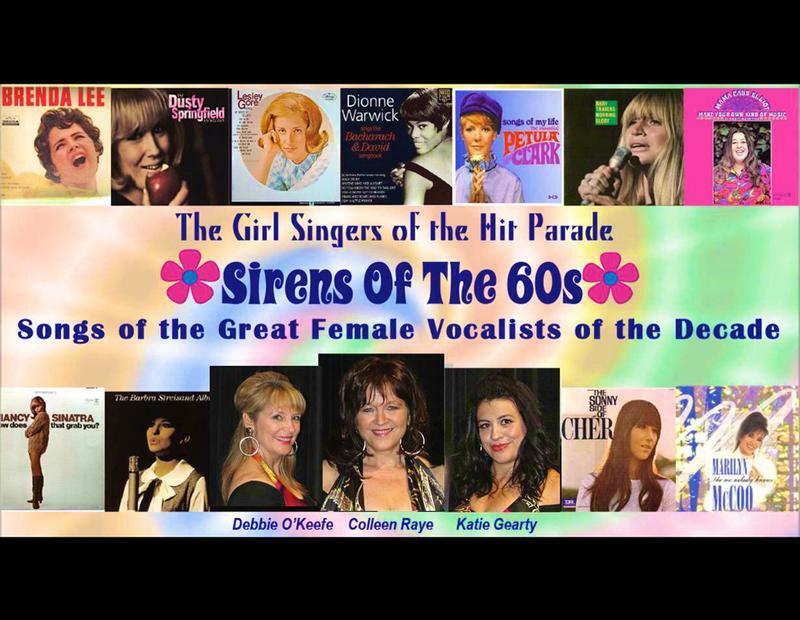 Colleen Raye, Debbie O'Keefe and Katie Gearty bring their talents to the stage to perform classic 60s tunes from the female artists of the era. Not just a campy show, it celebrates the vocal prowess of singers like Dionne Warwick, "Walk on By," Cass Elliot with The Mamas and The Papas, Marilyn McCoo and the 5th Dimension, Lesley Gore, "It’s My Party," Barbra Streisand, "People," Petula Clark, "Downtown," Shirley Bassey, "Goldfinger," and scores of others, including Tammy Wynette and the “White Queen of Soul” Dusty Springfield. Mixed with dynamic vocals, excellent musicianship, laughs, fun facts, reminiscing and sing a longs, "SIRENS OF THE 60s" has everything you won’t want to miss for an evening of exceptionally groovy entertainment!